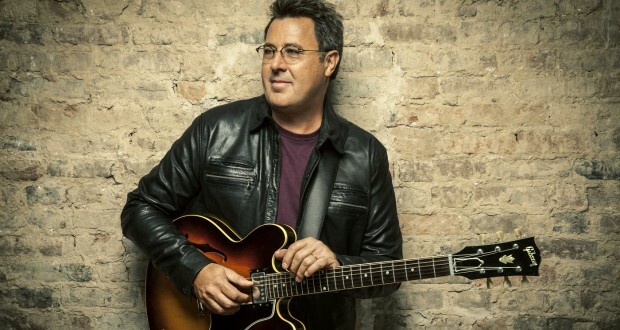 There are few voices in music that are more instantly recognizable than Vince Gill’s. For as long as I can remember, his music has been a part of my life, from my early days in radio in the 80’s and classic songs like “Oklahoma Borderline” and “Victim of Life’s Circumstances” through a string of more than 50 hit singles and more recently as part of the Time Jumpers. 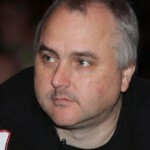 Vince is a virtuoso instrumentalist, bluegrass aficionado, and one of the most versatile and enduring representatives of country music in the last 30 or so years. His new album, his first solo album since 2011, “Down To My Last Bad Habit” is out now and is a testament to the enduring appeal of his sound. It is an audio feast of meaningful songs, tasty licks, soulful soaring highs, a dash of blues, an amazing jazz trumpet, a few special guests, and a final track dessert of straight ahead country. 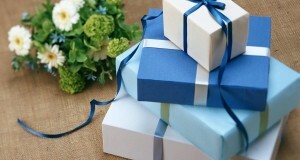 This collection features everything that you love about love. While not intentional there is a common theme around this Valentine’s Day release. Love, and loss of love, has been a rich source of inspiration throughout his career and this album is no different. And then there’s the finale: a straight-ahead old school country waltz song for one of his heroes and friends the great George Jones. “Sad One Comin’ On (A Song for George Jones)” is a heartfelt tribute to the Possum, which few today would be able, or even dare try to deliver. Vince Gill blends influences, styles, and emotions like no one else can and it is on full display throughout this album. The only real sad part is that since he’s not 25 you probably won’t get to hear a lot of it on today’s radio. I can’t suggest strongly enough to you to go out and find this album. It’s both classic and contemporary country from one of the true living legends of music. Vince did 2 songs from his new album from our previous paragraph, lol. He sang the title track and followed up at the insistence of Lyle with the closing song from the album “A Sad One Comin’ On (A Song for George Jones)” which included a great story of touring with George and Conway back in 1990. This format for me works so well 2 guys with great senses of humor and timing singing their songs and telling stories and jokes looking back over their careers. 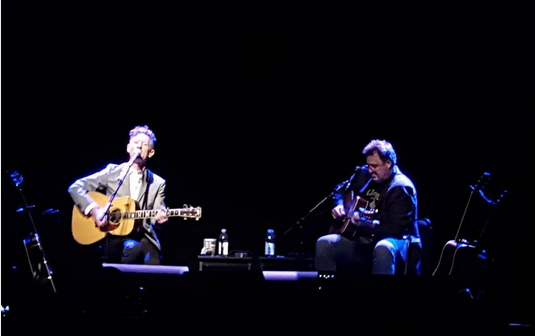 It was honest, it was funny, and it was perfectly delivered, both men at the top of their game vocally in a small theater setting ending a 2 week run of these shows. It was one amazing, entertaining, bucket list quality, 2 ½ hours of music and memories that I’m privileged to say I got to see. Classic and contemporary country from one of the true living legends of music. Summary : I can’t suggest strongly enough to you to go out and find this album. It’s both classic and contemporary country from one of the true living legends of music. 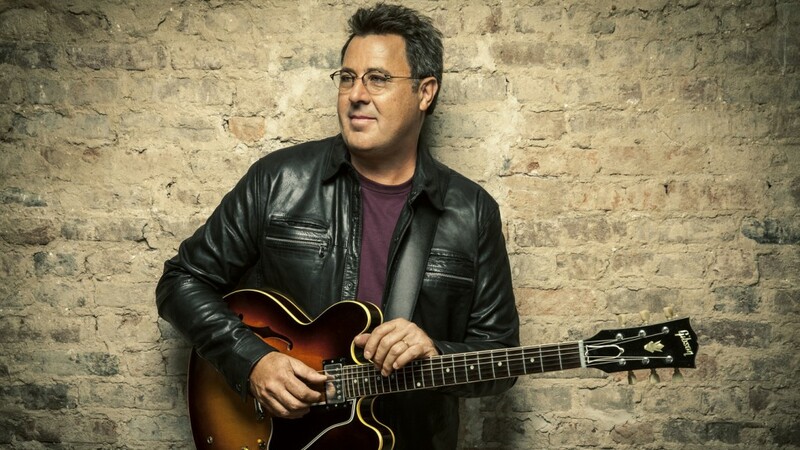 Vince Gill blends influences, styles, and emotions like no one else can and it is on full display throughout this album.